Some relationships are sturdy. You know that these two people, regardless of what comes at them, will be able to weather anything. But even the most secure of relationships face scrutiny if they involve celebrities, and perhaps one of my favorite high-profile couples, Prince William and Kate Middleton, have faced more than their fair share of rumors. Which just had to be put in place by crazy people who don't dig the two together as much as they should. Though, those people must hide their Will and Kate disdain fairly well, because I have never personally met anyone who didn't think the two royals were total relationship goals. At this point, I think there's a general understanding that hardships come with the territory for celebrity couples. If you're in the spotlight, you will be talked about, regardless of the truth to what is being said. I suppose it's the whole idea of, "In sight and in mind." Why? Because people get bored, that's why. So bored, in fact, that they even try to chip away at seemingly healthy relationships that no one would think to question. And they don't ever do it in a subtle way, either. Yes, people. 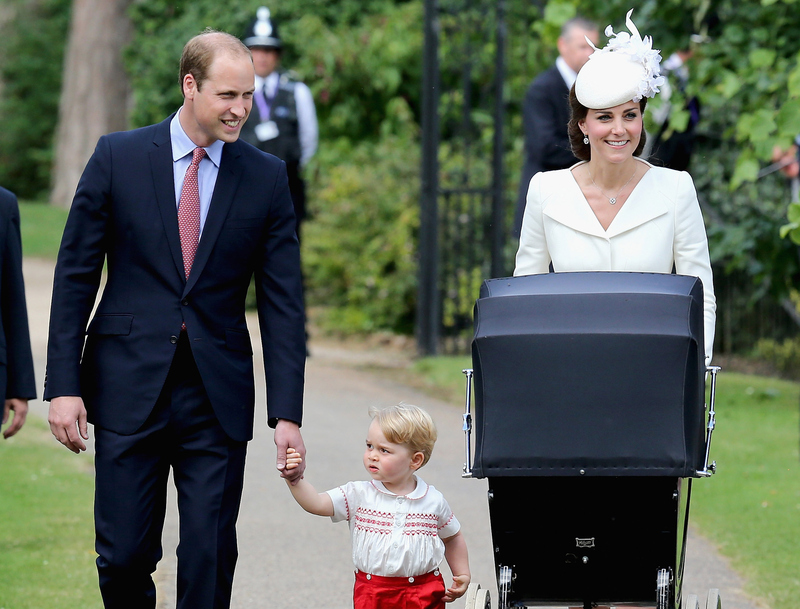 There are rumors that Middleton is pregnant again even though Princess Charlotte just left the building herself. I mean, remember peanutgate? If the royal doesn't do three backflips out of the palace whilst funneling a beer people assume she's with child. Listen, could she be pregnant? Sure. Is she? Probably not. What are Prince Charles and Camilla? Chopped liver?! It's like playing telephone. Rumor Fix said they were moving to America per an OK! Magazine rumor that the couple were renting a house in the Hamptons for the summer. Regardless, I just don't see them knocking on their Kardashian neighbor's door for sugar. Page Six reported, per a source, that NBC cut down on Royal Wedding screen time because they are, "both really boring." Um, I disagree. You see, Will and Kate are talked about soooo much, that pretty much everything has been said at this point. Marriage rumors, schmarriage rumors, I say. These two can make it through anything.